I've been on the verge of doing this for a few weeks but today, however reluctantly, I know I have to wave the white flag and take a short break from the blog. I've been struggling with a backlog of work-work for some time and if I'm ever going to catch up, I really must focus on it. So I shall be head down until the middle of next week (when there's a lovely gift coming your way... more about that on 3rd/4th) and will then bring you a limited blog service until mid-August, at least. August is usually a pretty quiet period for record releases and I'm not expecting anything particularly significant to drop from the sky, but you never know. If I hear of any major news along the way, I'll make sure to report it, if only briefly, but otherwise, I'll hang fire. I'll do catch-up posts as and when I can. Ancestry has added another of its 'Web Search' collections, meaning it has uploaded a searchable index to a record-set held on a third party website. In this particular case, the record set is the Royal Navy Ratings’ Service Records, Series ADM 139; some 90,000 records strong in total, it holds the details of many thousand Irish sailors*. Ancestry has called the index the Royal Naval Seamen Index, 1853–1872. 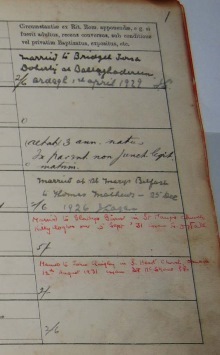 Importantly, in all but a tiny number of cases, the town where the man was born is recorded in these service records (see image, right, of some search results). With most of the sailors born in the 1810–1845 period, this collection may be the only surviving documentation providing this vital piece of information. I found two records of interest for my Santry One-Name Study, and one that was especially revealing. It related to a 14-year-old William Santry who signed up as a Boy 2nd Class in 1862. Not only was his date and place of birth recorded as 6 October 1848 in Baltimore, County Cork, and a personal description provided (4ft 9inches, fair skin, light hair, grey eyes), his father had to provide name (John Santry) and signature on account of his son's young age. 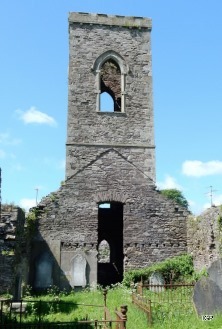 From that information, I was able to nip over to IrishGenealogy.ie (my preferred site for my Cork ancestors) to find William's baptism record in Skibbereen parish, his mother's name and the name of his siblings, as well as his parents' marriage record. Not bad for 15 minutes' research, even if I did have to pay TNA £3.45 for images of the service records! *I can't be certain exactly how many Irishmen are indexed because when I search using Ireland as the place of birth, I get 5,300 results, all of them in the south. When I search using Northern Ireland as the birth place, another 1,000-odd results are returned. I'd have expected a higher proportion of the 90,000 records (as per the catalogue entry) to be Irish. The British Newspaper Archive has added The Cork Constitution to its online database. 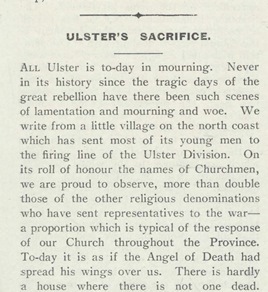 This staunchly Protestant and Unionist newspaper ceased publication on Independence. So far, the complete editions published in 1890 and 1891 are available for exploration on the site. BNA plans to create a holding that spans 1826–1926, during which it has been known variously as The Constitution, Cork Advertiser and The Cork Constitution. The addition of this title means there are now 121 Irish newspapers in the BNA collection. This same collection is also available as part of a FindMyPast Ireland or World subscription package. appointment at the NLI's main Kildare Street building. Visitors to the National Library of Ireland's free Genealogy Service are seeing some additional resources made available to them this summer. 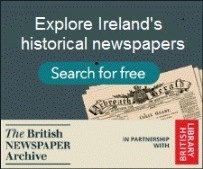 Researchers have long been able to take advantage of free on-site access to a number of subscription websites, including Ancestry, FindMyPast, Irish News Archive, the Irish Times newspaper Archive and the Dictionary of Irish Biography. Well, recent upgrades have brought full access to Ancestry's Worldwide collection and to John Grenham's Irish Ancestors software to all the Genealogy Room's computer screens. What is more, the 1bn-records database of the New England Historic Genealogical Society, AmericanAncestors.org, will also soon be available to visitors. The Genealogy Service is located in the NLI's main building in Kildare Street, Dublin 2, and is open Monday to Wednesday from 9:30am–5pm and Thursday and Friday from 9:30am–4:45pm. No appointment is needed. Just turn up. Those who can't visit in person can contact the service by email to genealogy@nli.ie or telephone +353 1 6030 256. The National Library of Ireland (NLI) has announced its summer programme of free Genealogy at Lunchtime lectures which runs from 26 July to 8 September. Each lecture starts at 1pm and is presented in the NLI's seminar room in Kildare Street, Dublin 2. Tuesday 26 July: Mná - 25 years of searching - lessons & leads, with Sinead McCool. Tuesday 2 August: Territory, maps and genealogy, with Paul McCotter MAGI. Thursday 11 August: "The selkie's skin": How Irish oral traditions preserve family and local history, with Nuala Ni Dhomhnaill. Thursday 18 August: The Forgotten Irish: Revealing the voices of Irish 19th-century emigrants, with Damien Shiels. Thursday 25 August: Children's records in 19th-century Ireland, with Aoife O'Connor. Tuesday 30 August: Stories from the parish registers, with Clodagh Tait. Thursday 1 September Ogham Stones: Our earliest genealogical sources, with Nora White. Tuesday 6 September: Ten free websites for US genealogical research, with Joe Buggy. Thursday 8 September: Adventures in DNA: Who were the first Irish?, with Professor Dan Bradley. All are welcome to attend. There's no booking requirement, but arriving early is recommended to ensure you get a seat. St Michael's Old Graveyard, Fintona, Co Tyrone. Photo courtesy of Brigid Wilson. Click picture for larger view of image. Here's the list of early-July additions to the free Ireland Genealogy Projects Archives website. It comes with a request to all researchers who might be wandering around graveyards this summer to consider shaing your headstone photos with the project. You don't need to photograph the entire burial site! Any individual headstone photo may be helpful to another genealogist researching the family memorialised. There's full details of how to do so here, and I can tell you from personal experience that the process is very straightforward. The Certificate in History of Family & Genealogical Methods is managed by IARC and held at the University of Limerick (UL). The course is held on campus on Thursday evenings from 6:30pm to 9:30pm but there is also an online programme available. It runs across the Autumn and Spring semesters and offers options of progression to MA History of Family and to the Diploma in University College Cork. Full details of the modules and assessment of the course can be downloaded here. IARC's Diploma in Genealogy is accredited by University College Cork (UCC) and is offered in conjunction with its Centre for Adult Continuing Education. It is a traditional course offered on-campus at UCC, specifically designed to suit the active-retired, part-time employed and unemployed adult learner and offers participants the opportunity to engage in an interdisciplinary study of the past while developing genealogical research skills. It is a two year programme at NFQ level 7 requiring a three-hour weekly class commitment. You can download full details here. Further information on both these courses is available from Dr David J. Butler – E: d.butler@ucc.ie, or from IARC – E: info@irisharc.org T: +353 61 207114. 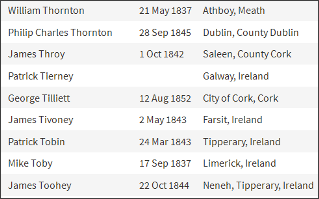 Following quickly on the heels of a recent update to its Early Irish Deaths Index (see blogpost), the Irish Genealogical Research Society has added several thousand records to its Early Irish Marriage Index. It now holds more than 80,000 marriage records, and names some 177,000 individuals. Free to members and non-members alike, it can be searched here. All the records in the Society's Early Irish indexes pre-date 1864 and the full introduction of the civil registration system, and the entries are noted from obscure and underused sources. The three indexes are managed by Roz McCutcheon FIGRS and continue to grow thanks to the work of IGRS volunteers. The Early Irish Births Index will be updated next month. 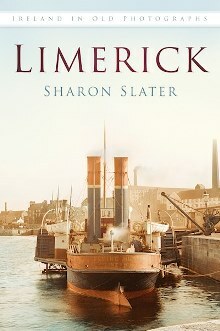 If you've ancestors from Limerick City or its hinterland, Sharon Slater's Limerick in Old Photographs is a must-buy book to complement your Irish family history research. Ireland's third most populous city has a long and vibrant history and has witnessed huge changes in the last two centuries. These changes have been captured in this collection of archive images by historian Sharon Slater, who runs the excellent Limerick's Life blog. Through the 128 pages of the book, she shows how the city has grown, recalling shops and industries, streets and buildings, societies and clubs, and a lost way of life. Published by The History Press, Limerick in Old Photographs is already on the shelves in Limerick's bookshops, and is available for order from Amazon. On Thursday 21 July, the National Library of Ireland will be closed to the public until 11am. All sites and all services will be affected, including the Reading Rooms and the free Genealogy Service in Kildare Street. Monday 18 July: Genealogy information sessions, with Margaret Bonar and Elizabeth Craven. Morning and afternoon sessions. Morning venue: Raheny Library, Howth Rd, Dublin 5 from 10:30am to 11:45am. Afternoon venue: Donaghmede library, Donaghmede Shopping Centre, Dublin 13 from 2:30pm to 4pm. Free. Bookings to 085 1444883 or impossibleancestors@gmail.com. Tuesday 19 July: History Ireland Hedge School: Battle of the Somme. 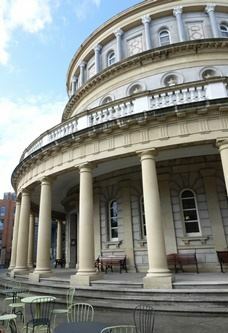 Host and venue: National Library of Ireland, Kildare Street, Dublin 2. History Ireland editor Tommy Graham and panel discuss the WW1 battle. All welcome. 7pm. Booking not required. Wednesday 20 July: National Archives of Scotland, Ireland & Wales online. Host: Genealogical Society of Victoria. Venue: Level B1 257 Collins Street, Melbourne 3000, Australia. Members free/Non-members $20. 1:30–2:30pm. Need to book. Thursday 21 July: Delayed opening. All areas of National Library of Ireland in Dublin, including the free Genealogy Service, will not open until 11am. Saturday 23 July: Tracing Irish Ancestors - for Intermediate-Advanced Researchers, with Roz McCutcheon FIGRS and Jill Williams FIGRS. Host and Venue: Society of Genealogists, 14 Charterhouse Buildings, Goswell Road, London EC1, UK. 10:30 to 5pm. Fee. Fully booked. 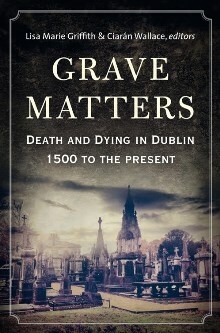 Sunday 24 July: Dublin's deadliest place & Bully's Acre & a guided tour with Paul O'Brien. Host: Royal Hospital Kilmainham. Venue: Grounds of the Royal Hospital, Military Road, Kilmainham, Dublin 8. 2pm. Numbers limited. Booking essential. E: paulf.obrien@opw.ie T: 087 1169347. Tuesday 26 July: Mná - 25 years of searching - lessons & leads, with Sinead McCool, first of this year's NLI Genealogy at lunchtime lecture series. Venue: National Library of Ireland, Kildare Street, Dublin 2. Free. 1pm. All welcome, booking not required. Folklore and local history material from Counties Roscommon and Westmeath have been added to the Schools Collection at Dúchas.ie, the website of the National Folklore Collection (NFC). The Schools Collection comprises stories written by schoolchildren in the late 1930s in a project run across the 26 counties of the Irish Free State. The pupils collected stories – topics included folk legends, weather lore, local history, proverbs, pastimes, trades and crafts – from their local communities, and recorded the names of their informants, often grandparents or older members of their family or neighbours. More than 160 schools in Co. Roscommon took part in the scheme and 44 volumes of material were compiled. In Co. Westmeath, over 100 schools took part and 31 volumes of material were compiled. The NFC's project to digitise the Schools Collection has been moving on a pace with the manuscripts from 21 counties now available on the site; material from the remaining five counties – Carlow, Cork, Offaly, Wexford, Wicklow – is expected to be added before the end of the year. 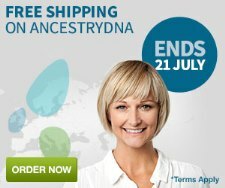 AnceestryDNA has a worthwhile money-saving offer for Irish and UK researchers: shipping on dna testing kits will be free for all UK/IE orders placed before midnight on Thursday 21 July. That's a saving of around £20. When you add in the recent lowering of the price of the testing kit to £79, there's a total saving of £40 on the same kit purchased just a couple of months ago. This will be well-received by researchers in the UK and Ireland who have always felt the price they have to pay for their tests was unfairly high compared with the price paid by USA-based researchers. Enjoy the bargain (or nearer-parity!) pricing while it lasts. Nick Reddan, founder and manager of the volunteer-led Registry of Deeds Index Project, has advised details of the latest update to the free website. The number of index entries now stands at 214,220, with names etc taken from 24,415 memorials of deeds. One of the memorials indexed in the latest update (number 183919292) was a whopper. Dating from 1839, it resulted in more than 1,100 index entries, many of them carrying name and age. 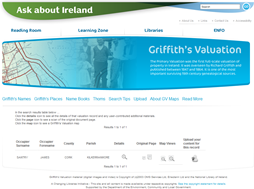 Researchers who turn to AskAboutIreland.ie's free version of Griffith's Valuation have been experiencing some access problems with the site over (at least) the last couple of weeks. Typically, search requests are returning 500 Error codes, which means that the server cannot process the requests for an unknown reason. My own attempts to access the site's GV database have been largely successful during this time. I received the error code once, but assumed the problem was rectified when my next search returned results. However, I've received emails from researchers in different parts of the world who have been less lucky. I've also noticed some chatter on forums about the hit and miss rate, too. I contacted AskAboutIreland at the end of last week. It seems the technical team was not aware of the problem. I'm told the developers are now monitoring the servers to get a more in-depth understanding of the issue. At first glance it does not look to be a severe problem and they are hoping to be able to resolve it quickly. 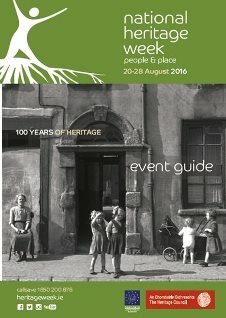 Monday 11 to Saturday 16 July: Northern Ireland genealogy. This week includes a bank holiday when many repositories and libraries in Northern Ireland will be closed. Some are closed just for just two days, others for the entire week. See details on blogpost. Tuesday 12 July: 1392: The Attack on St Thomas’s Abbey by the Citizens of Dublin, with Aine Foley. Host: Friends of Medieval Dublin / Milestones of Medieval Dublin Lunchtime Lectures series. Venue: Civic Offices, Wood Quay, Dublin 8. 1:05–1:50pm. Free. No booking. All welcome. Tuesday 12 July: The Irish DNA Atlas – a Study of Genetic Diversity in Ireland, with Ed Gilbert. Host: Genealogical Society of Ireland. Venue: Dún Laoghaire Further Education Institute, Cumberland Street, Dún Laoghaire, Dublin 18. 8–10pm. All Welcome. €3. Wednesday 13 July: The Royal College of Surgeons of Ireland and the Easter Rising, with Meadhbh Murphy. Launch of Surgeons and Insurgents exhibition and talk, followed by wine reception. 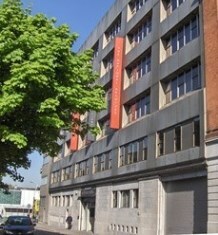 Host: Dublin City Public Libraries. Venue: Dublin City Library & Archive, 138-144 Pearse Street, Dublin 2. 6pm. All welcome. No booking, but arrive early to ensure a place. Wednesday 13 July: Researching the Rising Workshop, with Dr Emma Edwards. Advice on researching the National Library's collections. 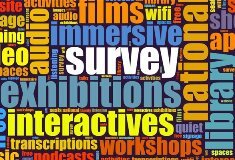 Host and venue: National Library of Ireland, Kildare Street, Dublin 2. suitable for anyone looking to embark on a research project or to enhance research skills in navigating the catalogue, accessing the various collections and interpreting the sources. 11am. Free. Need to book. Details. Wednesday 13 July: Revealing its story through excavation, with Dr Ann Lynch. The Hill of Tara Lecture Series. Venue: Hill of Tara Visitor Centre, Tara, Co Meath. No booking but seating is limited so come early. Free. 8pm. 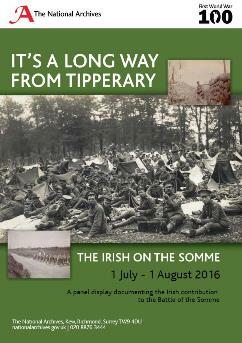 Thursday 14 July: WWI Ireland: Exploring the Irish Experience, an exhibition tour. Host and venue: National Library of Ireland, 2/3 Kildare Street, Dublin 2. Booking is not required. All welcome. 2pm. Saturday 16 July: Using databases to research your information, with Mary Wickersham. 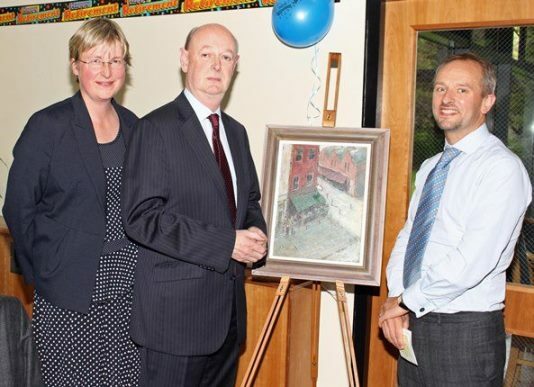 Host: Irish Genealogical Society International (IGSI). Venue: Minnesota Genealogical Society Library, 1185 Concord St. N, South St. Paul, Minnesota, USA. 10:30am to 12 noon. Need to register. Class fee is $15 for IGSI members and $20 for non-members. FindMyPast is offering a 50% discount on all new one-month World subscriptions. This reduces the cost of the sub to €7.48 / £6.48 / US$9.98 / AUS$9.98. As its name implies, the World package includes not only the extensive Irish collection but also records from Britain, the United States and Australia/New Zealand. 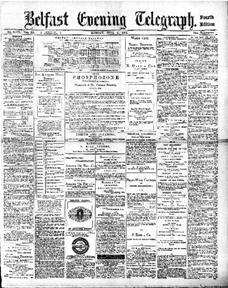 While the 1939 National Register is not included, the entire British Newspaper Archive database – all 120 Irish titles and 508 British titles – is part of the package. This discount offer will expire at 11.59pm on Friday 15 July. 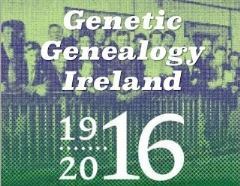 More information has been released about this year's Genetic Genealogy Ireland (GGI) conference, which will, once again, be held during the Back To Our Past exhibition/show in Dublin in October (see dates and venue below). The line up of speakers has been published on the GGI website and once again includes both international and home-grown DNA experts. Their topics will reflect the centenary of 1916 – such an important year for Ireland and the rest of Europe but will also include ancient Irish DNA, the Irish DNA Atlas project, linking DNA to the Ancient Irish Annals, Scandinavian DNA, introducing DNA to your Family History Society, DNA & adoptees, and a range of practical presentations on how to interpret your DNA results and get the most out of your DNA test. 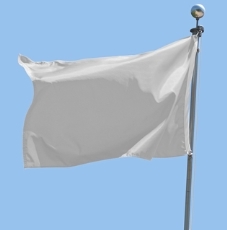 from 22 August to at least 11 October. 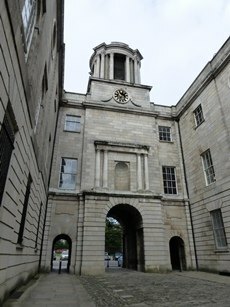 Somewhat later than originally planned, works to upgrade the lighting and air-conditioning facilities in the Reading Room of the National Archives of Ireland (NAI) in Bishop Street is to get underway at the end of next month. The works are expected to take around two months to complete and the management has announced the closure of the Reading Room from Monday 22 August to Tuesday 11 October. Depending on how the upgrading project goes, this period may be extended. Inevitably, this closure will seriously curtail visitor services. A limited appointment-only service will operate on Tuesday to Fridays, 10am to 4pm. Researchers wanting to make an appointment should download details of this restricted service and follow its instructions. The National Archives' free Genealogy Advisory Service, which is staffed by members of Accredited Genealogists Ireland, will operate 10am to 1:30pm Tuesday to Friday throughout the closure period. The NAI's Genealogy website will be unaffected by the closure. This blogpost updated 12 August. The University of Strathclyde in Glasgow is to re-run its free online Genealogy: Researching your Family Tree course from Monday 18 July. Centre for Lifelong Learning’s Postgraduate Programme in Genealogical, Palaeographic and Heraldic Studies and is delivered by FutureLearn, a company owned by The Open University. It runs for six weeks. Primarily designed for beginner to intermediate researchers, the course does not concentrate on any specific country's records and sources, so it can be useful to any researcher, no matter where their ancestors lived. The weekly 'lessons' cover effective searching techniques, the major source types and how to use them, Genealogical Proof, DNA testing, putting your research into context, and how to document and communicate research results. A weekly study commitment of four hours is recommended. The presenters of the course, Tabita McCabe and Graham Holton, are tutors in Genealogical Studies at Strathclyde. When this genealogy MOOC (Massive Open Online Course) was first run earlier this year, it attracted 26,000 participants! To celebrate Canada Day and American Independence Day, the Ulster Historical Foundation has announced a half price sale. The 50% discount will be available across the AncestryIreland.com database of two million pay-per-view birth, marriage & death records for Counties Antrim & Down. In terms of births and baptisms, AncesetryIreland holds virtually all Roman Catholic registers and a large number of Church of Ireland and Presbyterian baptism registers for both Counties Antrim and Down, as well as many civil birth records for Belfast. For marriages it holds virtually all civil records for the two counties, as well as nearly all Roman Catholic records up to 1900. Additionally, it holds a large number of Church of Ireland and Presbyterian registers of marriages for mid, south and west County Down. The site also contains funeral records (where they survive) from Roman Catholic registers for Counties Antrim and Down prior to 1900 and a large number of Church of Ireland and Presbyterian registers of burials for the city of Belfast. The offer will expire on 8 July. The Dublin-based Irish Newspaper Archive has announced a flash sale to mark American Independence Day. If you sign up for a monthly or annual membership to the online archive before close of play on Wednesday 6 July, you can enjoy a 50% disoount. That puts the monthly sub at just €15 and the annual sub at €89. See the list of publications included in the archive. To take advantate of the offer, click the logo and choose which subscription you want. Enter the coupon code 1916FB when prompted. Saturday 9 July: The National Library's History & Heritage, an introduction to the Library's rich architectural history and the Signatories exhibition, plus a guided tour of the Reading Room. Venue: National Library of Ireland, Kildare Street, Dublin 2. Admission free. All welcome. 1pm. No need to book. Saturday 9 July: Genealogy drop-in, with Mayo Genealogy Group. Host and venue: National Museum of Ireland, Country Life, Turlough Park, Co Mayo. If you have an interest in finding out about your family history come along for free practical tips. No booking required. New researchers welcome. 11:30am to 1pm. Saturday 9 July: Jumping the Pond – Finding the origins of your immigrant ancestor, with Donna Moughty. Host: Imperial Polk Genealogical Society. Venue: Unitarian Universalist Congregation of Lakeland, 3140 Troy Avenue, Lakeland, Florida, USA. All welcome. 1pm. 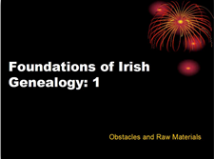 Saturday 9 July: Irish Saturday, with the Irish Genealogical Society International (IGSI). Venue: Minnesota Genealogical Library, 1185 Concord St. N, South St. Paul, Minnesota, USA. 10am to 4pm. Details. No need to book.